SKU: CR-5312 Categories: Ladies Pullovers, Pullover Jackets, Pullovers, Women's Clothing Brands: Charles River Apparel. Purpose and style combine to produce a sole heathered fleece quarter zipper pullover, exclusively from Charles River Apparel. This cozy fleece is prodigious alone or as a layering piece. A yarn-dyed procedure makes a unique heathered look. When seeking for superiority apparel, look to Charles River Apparel. Charles River Apparel infuses their clothing with technology, performance and contemporary style. 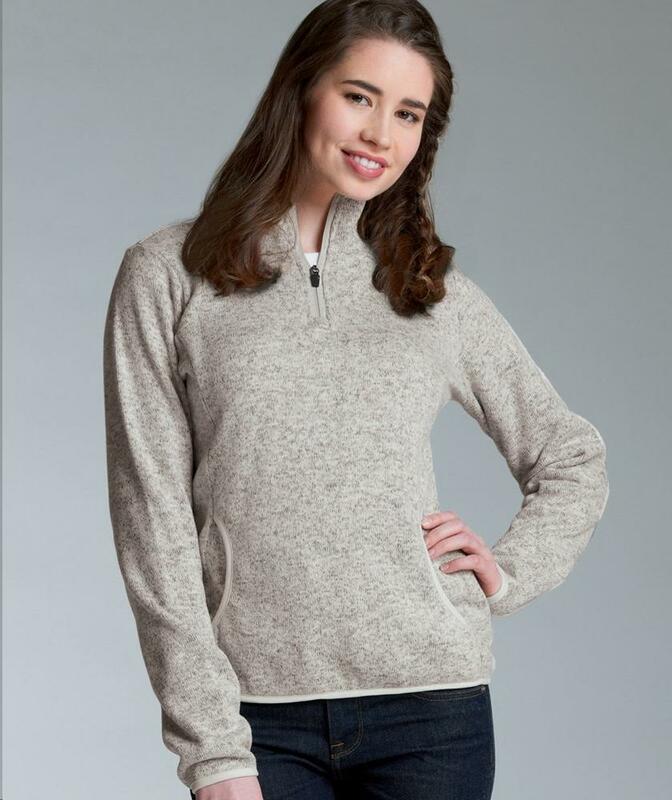 100% polyester sweater fleece, brushed on the inside for softness 8.26 oz/yd2 (13.76 oz/lyd, 280 gsm). Yarn-dyed to produce a unique heathered appearance. Quarter zip styling with a stand-up collar lined with tricot for softness against face. Women’s features front pouch pocket, princess seams, and comfortable elastic binding at the cuffs, hem and front pockets.